In a world moment full of extremes, perspective matters. Through what eyes do we view urgent political standoffs, tension among races and genders, and the specter of sudden violence? Do we see the worst? Do we exaggerate? 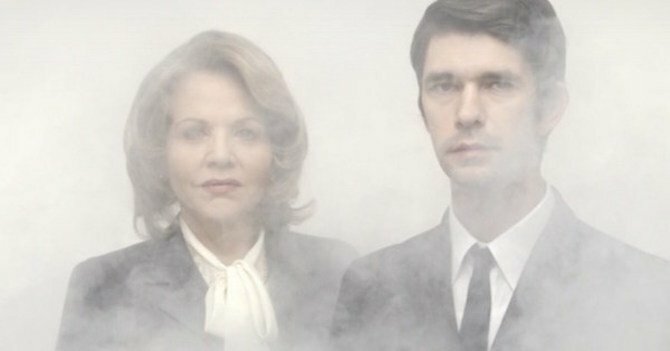 Do we underplay the truth? Swiss artist Alberto Giacometti (1901-1966), a Modernist sculptor, was a master of perspective. His elongated human figures, spindly miniatures, and ghostly paintings and drawings invite the viewer to lean in close and evaluate the work on its own terms rather than those of the viewer herself. June 8, the Solomon R. Guggenheim Museum in New York presents Giacometti, an exhibition of over 175 works by the artist. Giacometti is best known for sculptures that exaggerate the human form in some way. Many of them are attenuated, like Woman Walking, imbued with a whispered tension and alienation. Others, like the famous Woman With Her Throat Cut, sear the consciousness with distorted anatomy and graphic violence. 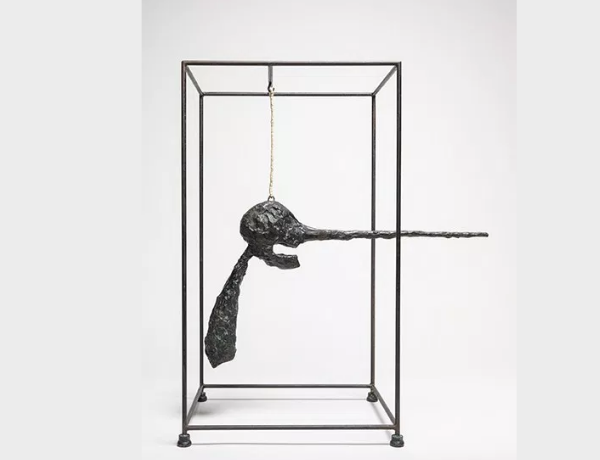 This piece, which one might mistake for the image of an insect, speaks to Giacometti’s affiliation with the Surrealists—Salvador Dalí and Joan Miro among them—in the early 1930s, a group from which he departed in 1934. Among the Guggenheim’s permanent collection of Giacometti sculptures is The Nose, a rectangular bronze cage 32 inches high with a figure suspended by a chain from a crossbar at the top. This figure suggests a torso and head, and the nose extends far beyond the cage, thrust like a spear. The shape is not only human; it also resembles a firearm and expresses the agony of decimated cities and lost lives after World War II. The Nose was completed in 1949, a few years after the war. Purposeful distortions and exaggerations like Giacometti’s locate global crisis in a lone human form. They seem to be asking the viewer, How did I get here?, whether the distortion is quiet or loud, so to speak. The figures are creatures of some environment invisible to us, yet familiar and palpable. Alberto Giacometti, Piazza, 1947–48 (cast 1948–49), bronze, 8 1/4 x 24 5/8 x 16 7/8 inches (21 x 62.5 x 42.8 cm), The Solomon R. Guggenheim Foundation Peggy Guggenheim Collection, Venice, 1976, © 2018 Artists Rights Society (ARS), New York/ADAGP/FAAG, Paris. It is easy to imagine, for example, a scene like the one pictured in Piazza, springing from a contemporary cityscape. 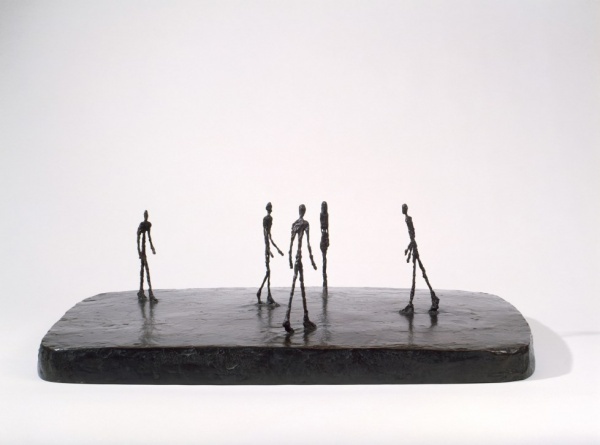 An extraordinary monument to Giacometti’s unique perspective, Piazza is a slab of bronze with five miniature figures moving on its surface. There is one woman, solitary and static, and four men walking their own paths across the simple city square. These short figures are wisps atop the comparably large base, and at eye level one can see the relatively large space between them and the alienation implied by this empty piazza. In fact, Giacometti was commissioned to create three sculptures for the plaza of Chase Manhattan Bank in New York, the installation of which never occurred. These three sculptures, intended for that notable piazza, will be on view at the Guggenheim in the High Gallery. The exhibition will occupy the museum’s iconic rotunda, making use of the inset walls and vitrines on pedestals for works large and small. Many of the works have never been shown in the U.S., and some plaster sculptures from Giacometti’s studio will be on display in order to examine the artist’s working relationship with his materials. 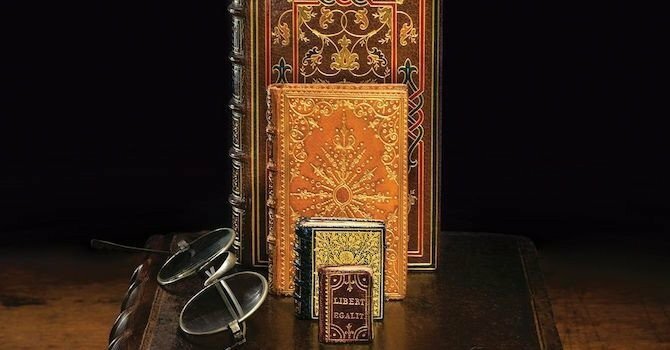 Rarely seen journals, sketches, and photographs will also be shown, offering a deeper picture of the artist’s mind at work. 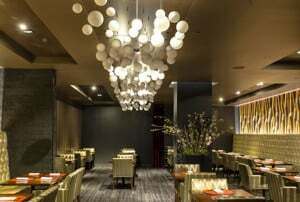 The sculptures on display come from the Fondation Giacometti in Paris, the permanent Guggenheim collection, and other private and public collections. On the topmost ramp of the museum, viewers can see footage of Giacometti in his studio, shot by his friend Ernst Scheidegger. Alberto Giacometti grew up in Switzerland and was the son of Giovanni Giacometti, a Post-Impressionist painter. His early influences included Cezanne, Alexander Archipenko, Giotto, Tintoretto, and ancient art from Egypt, Africa, and the Cyclades. Giacometti’s first solo exhibition occurred at the Julien Levy Gallery in New York in 1934, when the artist was residing in Paris and beginning to show at galleries in the city. 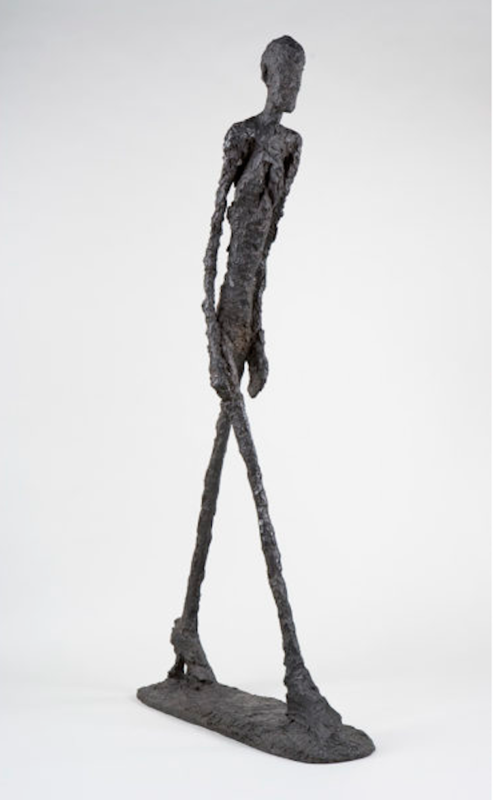 Walking Man I (Homme qui marche I), 1960 Bronze, 180.5 x 27 x 97 cm. Fondation Giacometti, Paris © 2018 Alberto Giacometti Estate/Licensed by VAGA and ARS, New York. 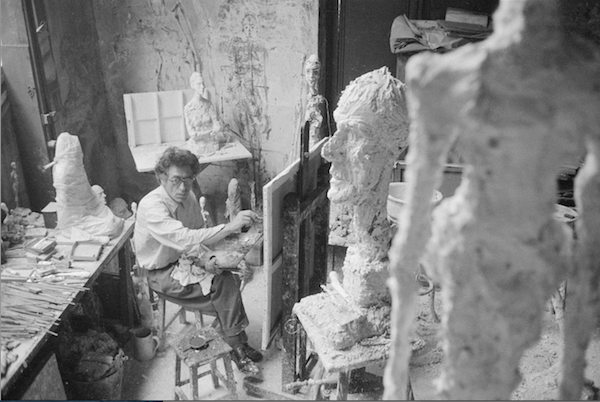 Giacometti’s work continued to attract attention in Europe and the States at galleries and museums. His circle of friends in Paris and abroad included Picasso, Jean-Paul Sartre, Simone de Beauvoir, and Samuel Beckett. 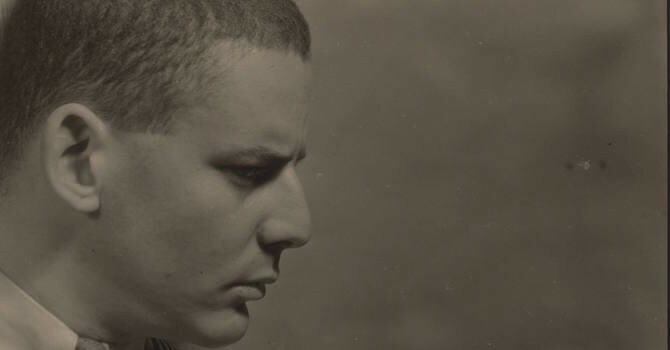 The Guggenheim organized a career retrospective of his work in 1955. Giacometti has been honored with shows at museums around the world and with the Grand Prix National des Arts in 1965, which he received just before his death at age 64 in Switzerland. The Guggenheim also organized a posthumous retrospective at the museum in 1974. The curators of Giacometti are Megan Fontanella of the Guggenheim Museum and Catherine Grenier, Director of The Fondation Giacometti in Paris. The exhibition will last through the summer, until September 12, 2018. 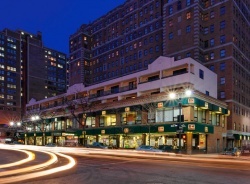 The Solomon R. Guggenheim Museum is located at 1071 Fifth Ave. 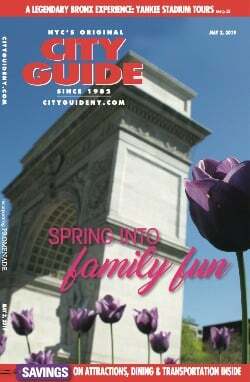 Call 212-423-3500 or visit guggenheim.org for tickets and more information.